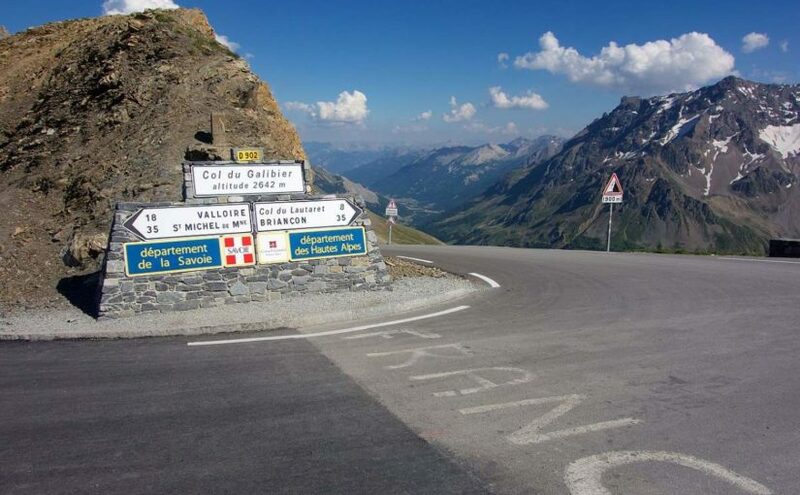 Col du Galibier is one of the the sacred mountains of cycling. With 2,645 meters of height, it is the ninth highest paved road in the Alps, and the sixth highest mountain pass. It is often the highest point of the Tour de France. Andy Schleck climbing Col du Galibier at Stage 18 of Tour de France 2011. He won the highest ever Tour de France finish. The stage will be finished at the top of the climb, where the mountain divides the French departments of Savoy from the Hautes-Alpes. It’ll be the first time in the history of cycling that a race, climbing from Valloire, will finish at the top of this monumental mountain. Stage 15 will include three big climbs: it will start from Cesana Torinese, and take riders towards Susa where the Colle del Moncenisio (Col du Moncenis) climb will begin, then downhill towards the Val D’Arc. At Saint Michel de Maurienne the race will climb the Col du Télégraphe and then, from Valloire, the last 18km will head upwards towards the glory of the summit of the Col du Galibier. The Col du Galibier was first used in the Tour de France in 1911; the first rider over the summit was Emile Georget. He and Paul Duboc and Gustave Garrigou were the only riders not to walk. The original summit was at 2556m, while the tunnel was closed from 1976 until 2002, the tour route went only over the pass closer to the mountain peak at 2645m. In 2011, the Tour de France went through the tunnel for the first time during the 19th stage from Modane Valfréjus to L’Alpe d’Huez. And in 15th Stage of Giro d’Italia 2013, this will happen again and the riders will climb up to 2,645m. Since 1947, the Col de Galibier has been crossed 31 times by the Tour de France. 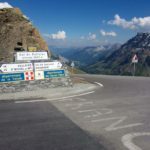 The 2011 Tour climbed the Col du Galibier twice to celebrate the 100th anniversary of the first appearance of the pass in the Tour de France, including the first ever summit finish, won by Andy Schleck after a 60 km solo breakaway. This was the highest ever stage finish in the Tour de France. 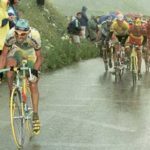 On July 27, 1998, Stage 15 of Tour de France, Marco Pantani attacked and dropped Ullrich group on Col du Galibier climb, won the stage and captured the yellow jersey. He also won 1998 Tour de France. Here is the long (2:48:53) video of Pantani’s attack and stage win. Peloton is climbing Col du Galibier at Tour de France 2011 Stage 18. 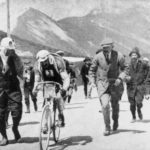 The first ever Col du Galibier climb: Tour de France 1911. Marco Pantani won stage 15 of Tour de France 1998 on Col du Galibier, and captured the yellow jersey.